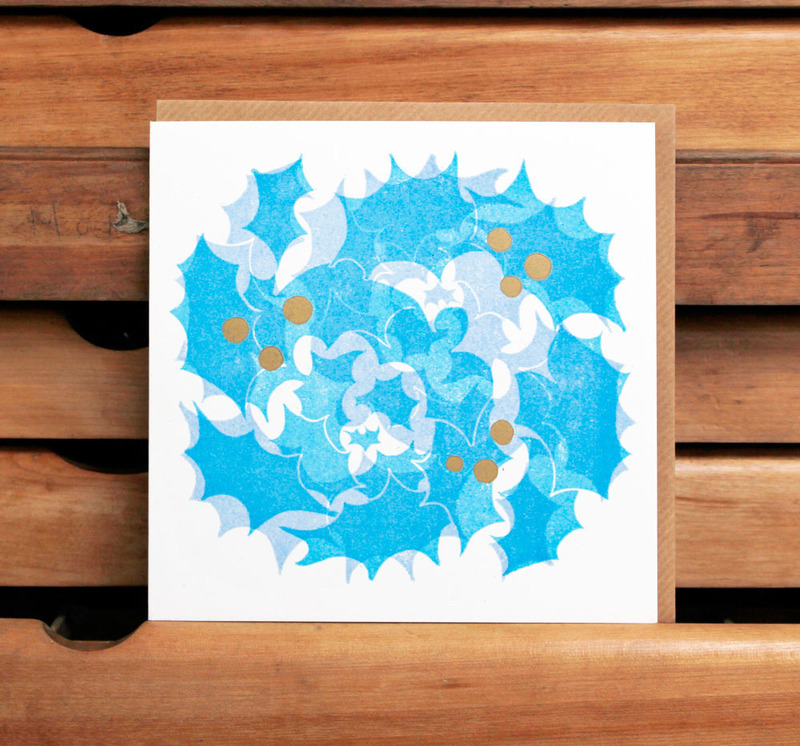 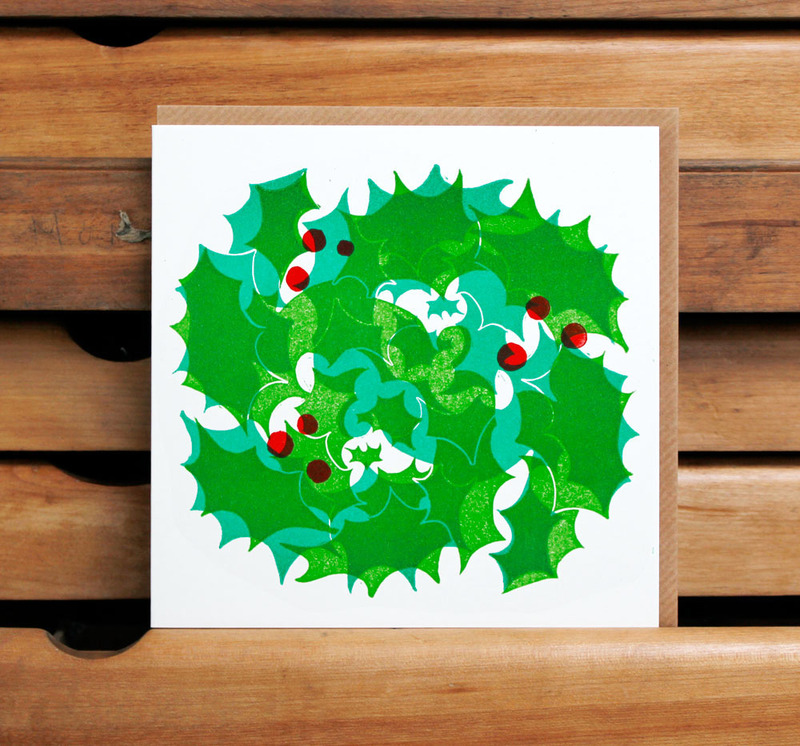 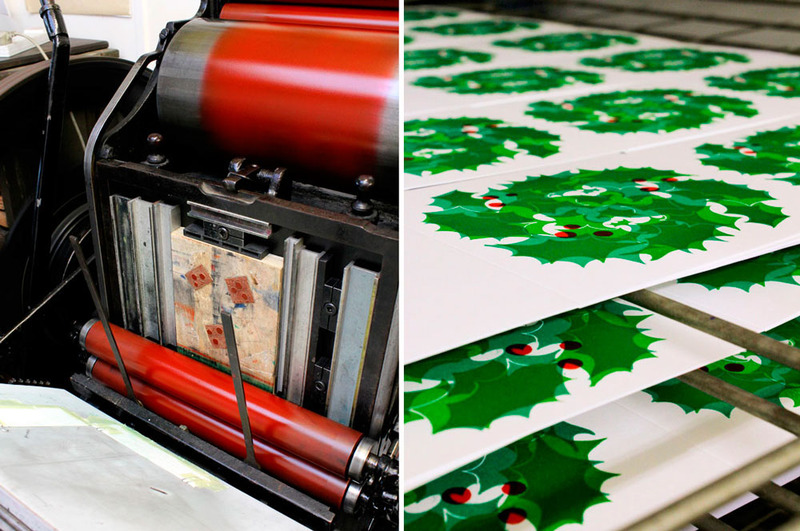 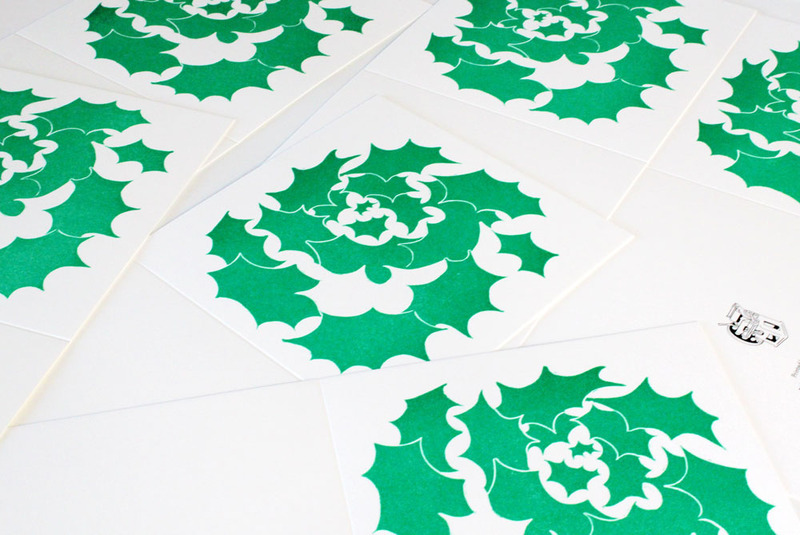 A series of Christmas cards produced by linocut and letterpress printing methods. 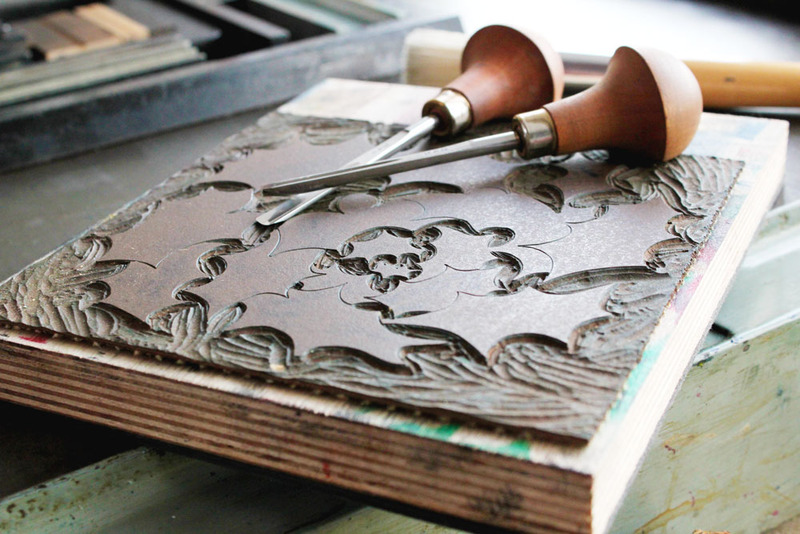 The design was carved out of linoleum and printed multiple times to layer up several colour-ways. 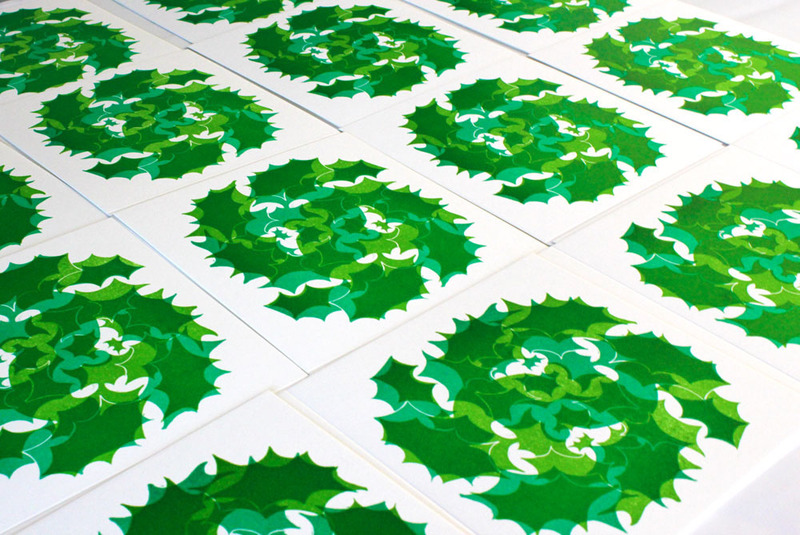 The printing inks were thinned considerably to provide bright colour overlays and allow the paper texture to show through the design. 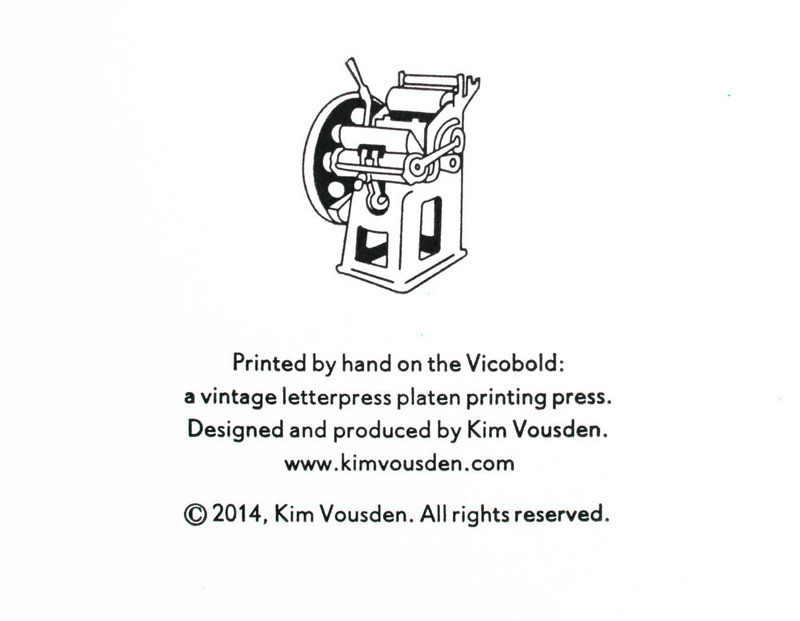 As the cards where printed on a Vicobold letterpress platen printing press, a small illustration of the press was drawn by hand and converted into a metal relief printing block. 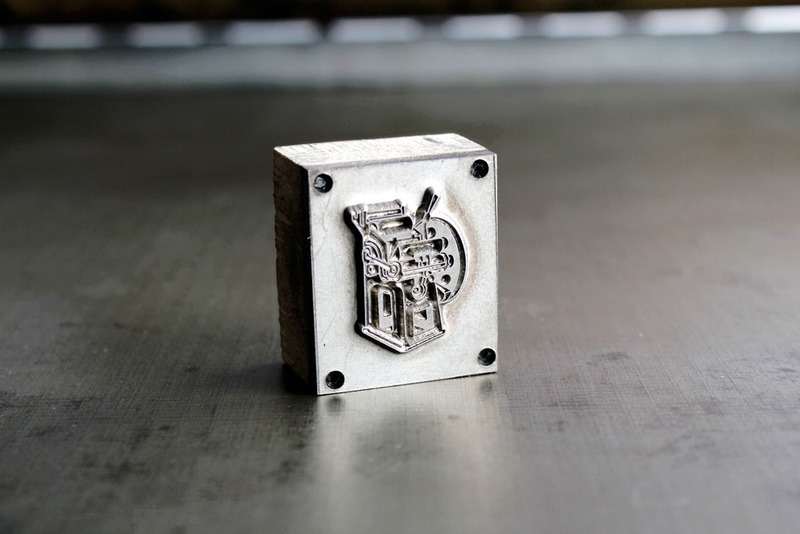 This was then printed alongside hand-set metal letterpress type—Granby 8pt—on the reverse of each card. 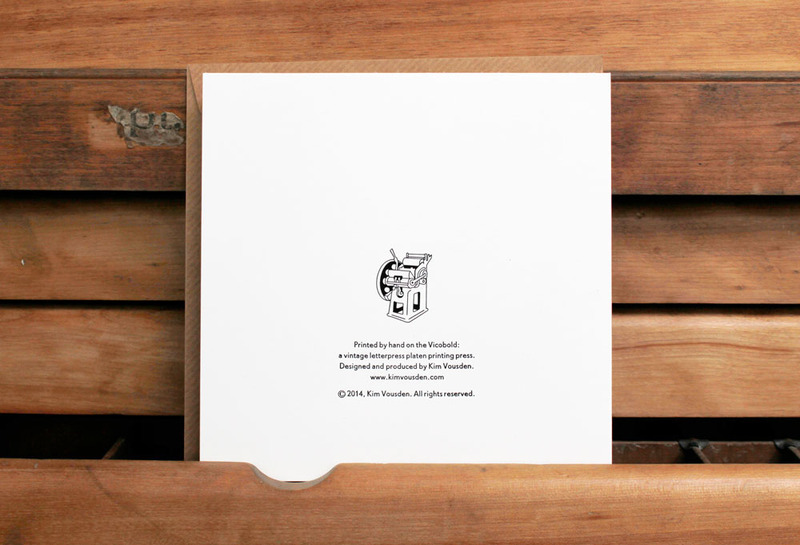 150 x 150 mm, Olin Natural White paper stock, 400gsm.